We brought out the pool noodles we used last summer to work on fine motor skills by building sculptures and gave them new life in our latest fine motor activity involving pom poms and tweezers. 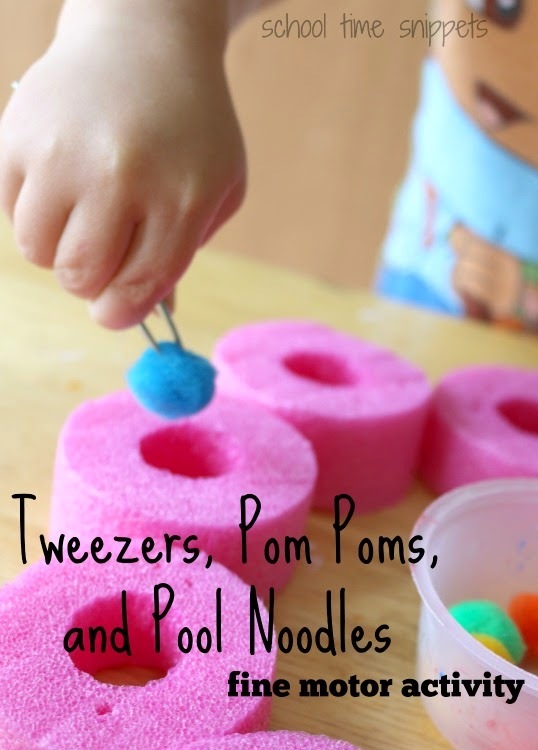 Grab a pool noodle, several pom poms , a pair of tweezers and you have a simple but fun way to work on fine motor skills. We had no issue with metal tweezers, but if you are not comfortable letting your child use them, you might want to use plastic tweezers instead! Our pool noodle was already cut from our previous activity, but to prep your activity cut the pool noodle into 1 to 1 1/2 inch pieces using a sharp knife. 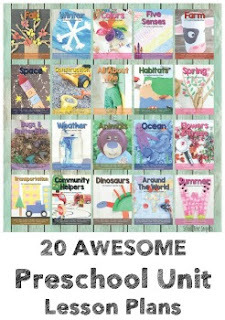 Then set up your activity by placing the sliced pool noodles in a circle. Put a pom pom inside each one. Give your child a cup to collect the pom poms in along with a pair of tweezers . Invite your child to manipulate the tweezers to pick up the pom poms and place them into the cup. To add in a bit of pretend play and science, tell your little one he/she is a bee picking up pollen from a flower! Who wouldn't want to pretend to buzz around like a bee?! If the tweezers prove to be a bit challenging for your little one, your child can try to use their fingers to pull out the pom pom as well. Once the pom poms have been collected, you can encourage your child to pick up the pom poms in the cup with the tweezers and place them into the pool noodles. This simple activity didn't last long and was a lot of fun for my 2 year old; my four year old did it as well, but she wasn't as interested or enthused when she was able to grab a pom pom!